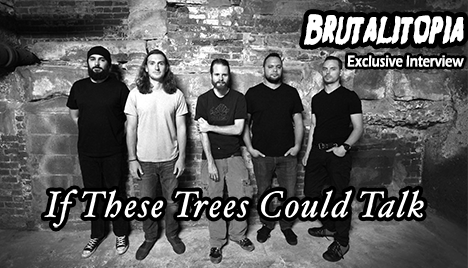 Last Thursday, I had the incredible opportunity to see Akron, OH's instrumental post-metal masters If These Trees Could Talk live at the Beat Kitchen in Chicago. Before the show, I was fortunate enough to take a stroll around the Roscoe Village neighborhood with guitarists Mike Socrates and Cody Kelly and drummer Zack Kelly; during the stroll we chatted about their incredible new album The Bones of a Dying World, Maynard James Keenan, the hotbed of musical talent from northern Ohio, Maynard James Keenan, their upcoming tour, and Maynard James Keenan. It's a pretty great conversation, so you should listen to it all, as well as check out my sub-amateur photography skills below! Most importantly, do not miss out on ITTCT when they come through your city over the next three weeks!